On Friday, March 29, the McGill Faculty of Law CIPP and myself hosted an afternoon conference called Privacy Revolution. Bringing together leading experts from academia and legal practice, the conference was an exciting opportunity to explore privacy law’s groundbreaking developments. 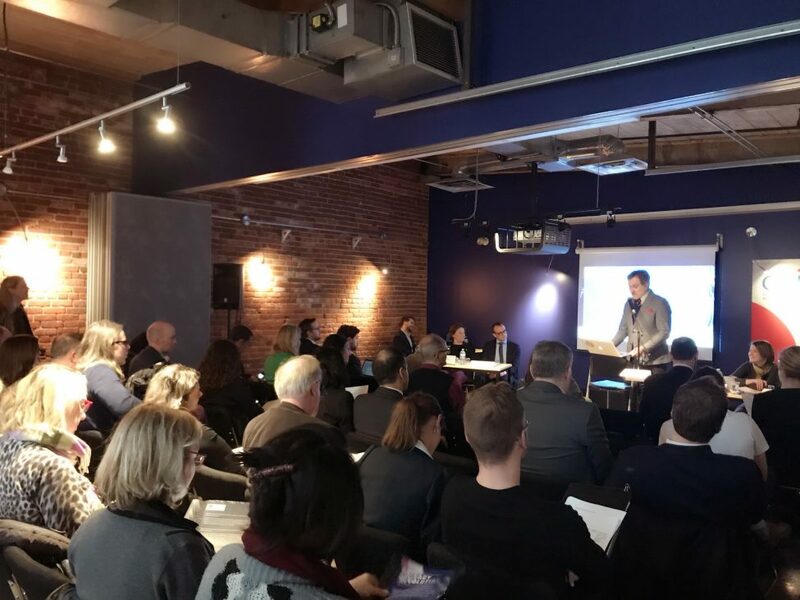 Specifically, the conference focused on two emerging and hotly debated issues that may soon change Canada’s privacy and liability landscape: the right to be forgotten and privacy class actions. The first panel, moderated by Vincent Gautrais, tackled the possibilities and consequences of Canada adopting the right to be forgotten. Jennifer Stoddart opened this discussion, giving an overview of the history of the right to be forgotten in different legal systems and illustrating that parts of the right are already in place in Canada and above. She was followed by Michael Rosenstock who highlighted the challenges that this right would bring, particularly in terms of limited access to information and free speech. Andrea Slane then contended Rosenstock’s arguments by analyzing how the right to be forgotten can be reconciled with rights to access information by appropriately regulating personal information flows. Pierre-Luc Déziel closed the panel with thoughts on how the right to be forgotten is a good example of the privacy revolution… but it is a romantic revolution. The second panel, moderated by Nicolas Vermeys, focused on privacy class actions. It was opened by Eloise Gratton, who highlighted the uncertainties that these claims bring and presented data on how current cases vary by jurisdiction, type of claim, and type of harm. Evan Thomas then spoke about the explosion of privacy class actions in Canada with data showing that the annual numbers increased steadily from zero in 2009 to fifteen in 2018. Catherine Piché provided the perspective of a procedure expert by explaining how problems such as the certification of class crystalize in this particular context and highlighting that privacy class actions have a promising future, particularly in Quebec. Thomas Kadri closed the panel by focusing on the U.S. experience and how to solve the issue of small and disperse compensations through cy presjudgements. The panelists’ presentations shared common themes. They all explained just how high the stakes are when it comes to the evolution of privacy law and how the direction that Canada takes on this issue will be consequential to everyone. They discussed the proper analogies that courts must apply, for example to search engines, which resemble but are not exactly libraries, and privacy harms, which resemble but are not exactly psychological harms. More saliently, they agreed that the direction that Canada should take in order to protect its citizens and foster a rich digital environment is difficult to trace. Just as the panels were divided on the benefits and consequences of adopting the right to be forgotten and privacy class actions, it remains unclear where Canada will stand in the divide: will it go the way of the EU and embrace the right to be forgotten but remain skeptical of class actions, will it categorically reject the right to be forgotten like the US has, or will it trace a different path altogether? All in all, the conference fleshed out how the landscape of corporate liability is bound to quickly shift in Canada as privacy law continues to evolve. The consequences of this shift will not only determine how every company that works in the digital economy does business, but also whether any Canadian citizen who participates in the information society will find redress. So, reader, the revolution includes you! This content has been updated on April 7, 2019 at 22:07.